Reliance Jio has posted a net profit of Rs. 612 crore on revenues of Rs. 8,109 crore during Q1 FY18-19, the company announced Friday. The EBIDTA (Earnings before interest, tax, depreciation and amortization), meanwhile, came in at Rs 3,147 crore. Jio’s user-base now stands at 215.3 million after adding a record 28.7 million new subscribers during the quarter. The company also reported a churn rate of just 0.30 percent, which it claimed was the lowest in the market. Even as Jio continued on with its growth, the ARPU (Average Revenue per User) took a hit for the second successive quarter, coming in at Rs. 134.50. However, it’s still higher than the ARPUs reported by its nearest competitors, Airtel and Vodafone. While the former reported revenues of Rs. 105 per customer during the same period, the latter’s ARPU was even lower at Rs. 102. Jio, meanwhile, had earned Rs. 154 per customer in the quarter ending Dec 2017 and Rs. 137.1 in the January-March period. Spurred on by pocket-friendly prices, Jio users, on average, consumed 10.6GB of LTE data per month and made 744 minutes of voice calls, both of which are the highest in the industry. As one would expect, videos accounted for the largest chunk of data usage, with subscribers watching 15.4 hours of videos per month. 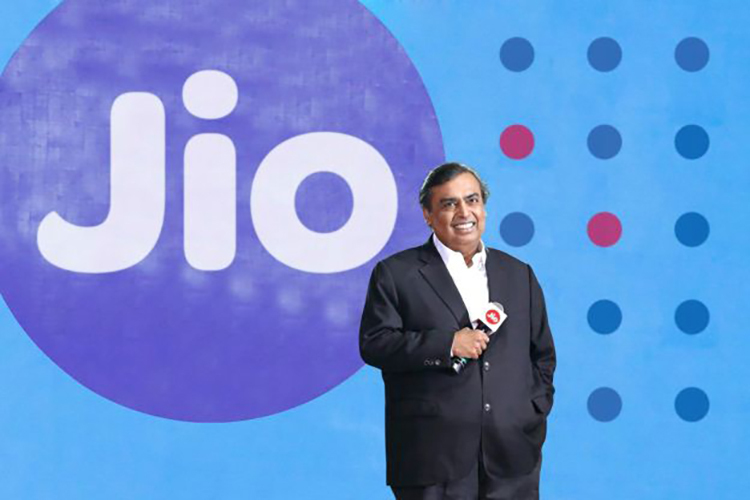 Jio also made some big claims about its network at its earnings call, saying it has both the largest LTE data network as well as the largest VoLTE network in the world in terms of usage. It also claimed it has 100 percent network availability in the country, and the lowest call drop rate at 0.13 percent. The company, however, did not reveal any sales data about the JioPhone 2, which was launched earlier this month.